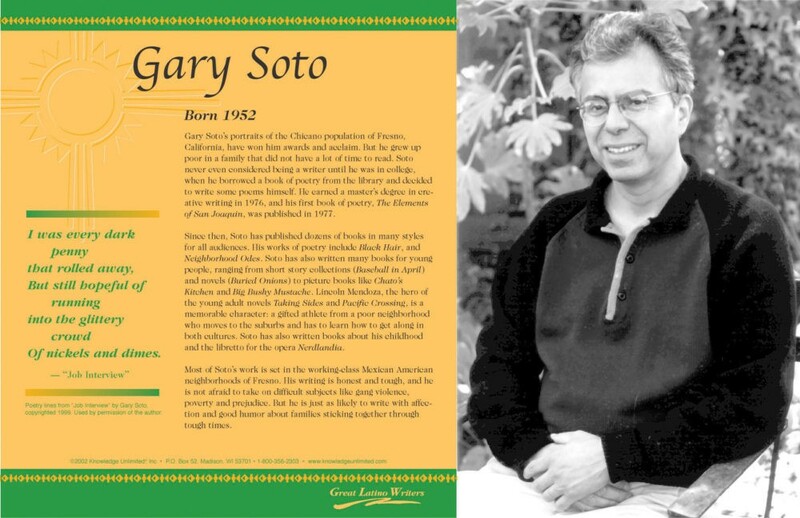 This language arts poster of writer Gary Soto is one of a series that focuses on great Latino writers. 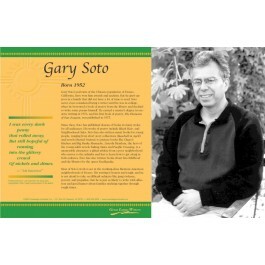 Most of Soto's work is set in the working-class Mexican American neighborhoods of Fresno, California. The poster features a photo of the author and biographical text, as well as a quote from one of his poems, "Job Interview."